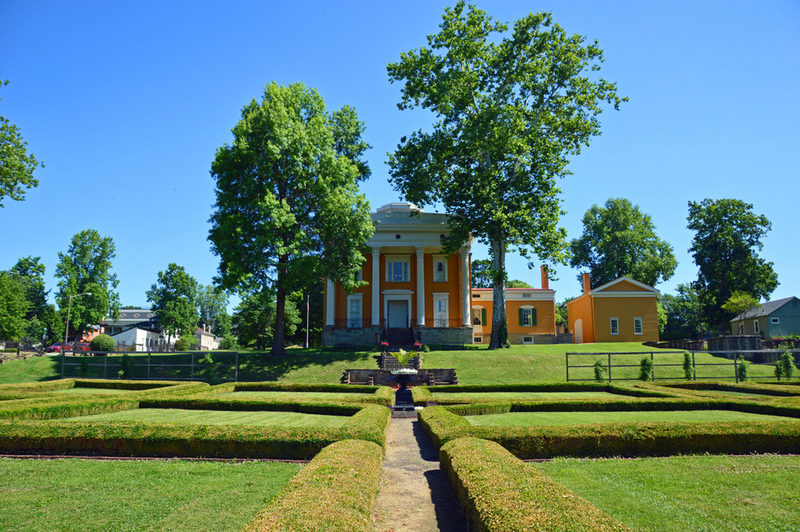 Lanier Mansion’s impressive Greek Revival design and location overlooking the Ohio River, is often referred to as “crown jewel” of Madison, Indiana’s Historic District. Built for James F.D. Lanier—an attorney, politician, banker and railroad developer—the mansion was designed by Madison architect Francis Costigan. Constructed in 1844, the mansion has been meticulously restored and redecorated. Guests are invited into the lavish home for a glimpse of Madison in the 19th century. A knowledgeable guide takes guests through the home weaving in information about Lanier, his success and his family.